The strawberry lip balm is my favorite! I'm constantly buying more! I have that Paul & Joe kittly lipstick, and I actually really love the color, but it makes me sad to use :( So I use the back of the kitties head carefully hehe! Amazing choices by the way! 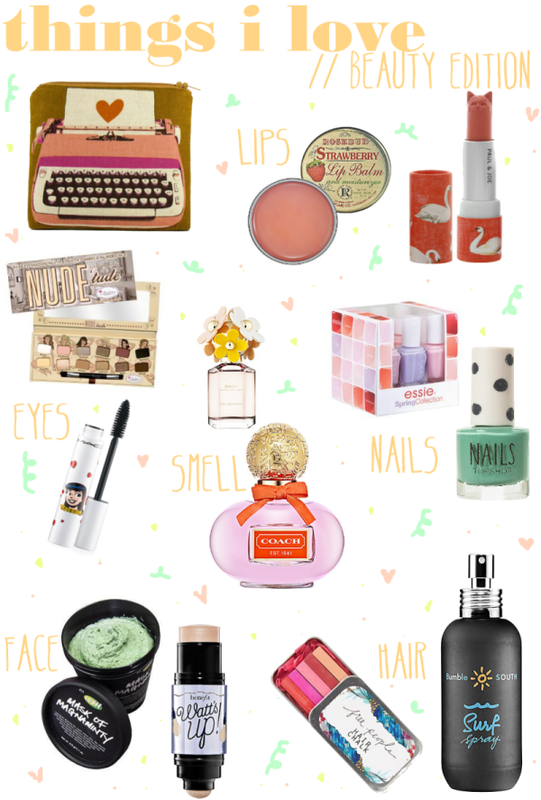 Lovely list :3 very girly.